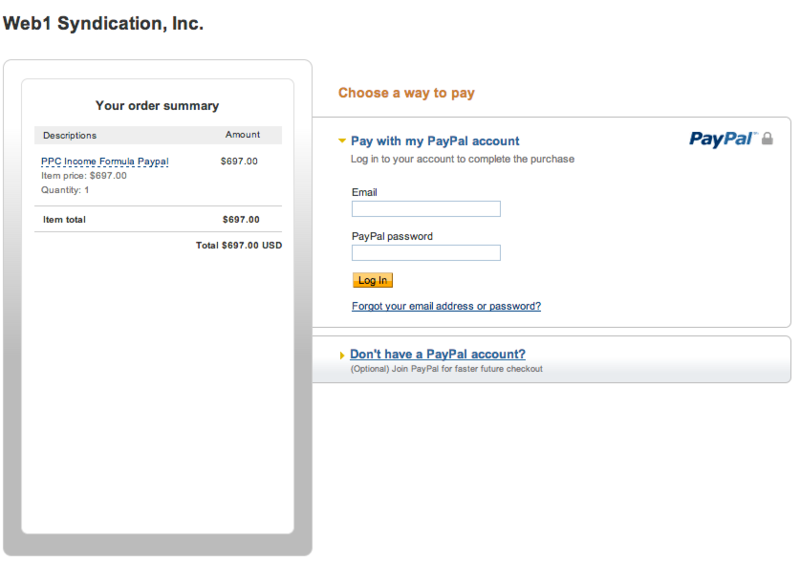 You can purchase the PPC Income Formula with PayPal's "Bill Me Later" Option. Under "Order Methods", click on PayPal. Select the "Bill Me Later" option and complete your order.